Eric is a man's man, a guy's guy. He likes sports, barbecuing with his buddies on the weekend, and monster trucks. But he's not a total meathead - though he'd never admit it around his guy friends, he's got a soft side a mile wide, and desperately wants the white picket fence and minivan life. He lives happily in Sunset Valley with his beautiful wife, Merit. Though they don't have need for the minivan yet, they sure are enjoying the process. Slider Hack: I have created Eric's face using slider hacks. 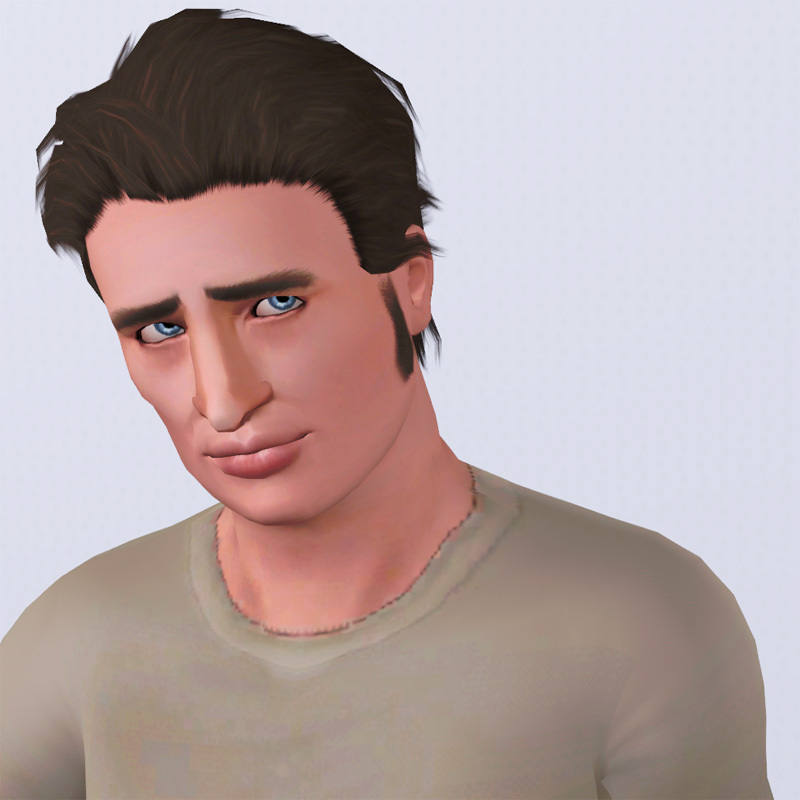 If you would like to modify Eric's face, you will need a slider hack to keep his features from resetting. 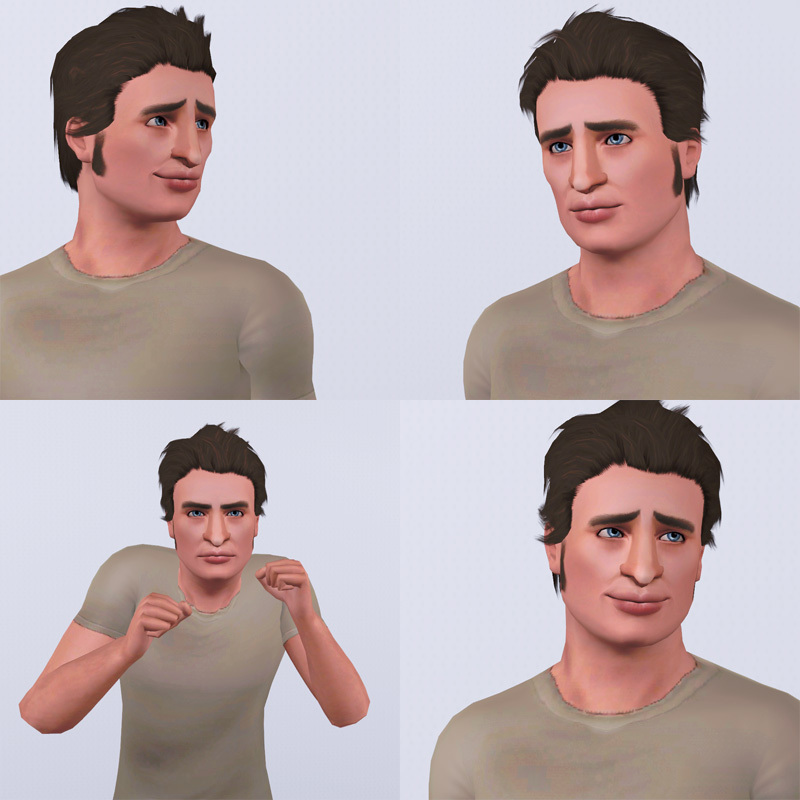 You can get Awesomemod, Rick & Delphy's CAS Slider Hack, or Indie Stone - it doesn't matter which. Download and extract from the rar file. 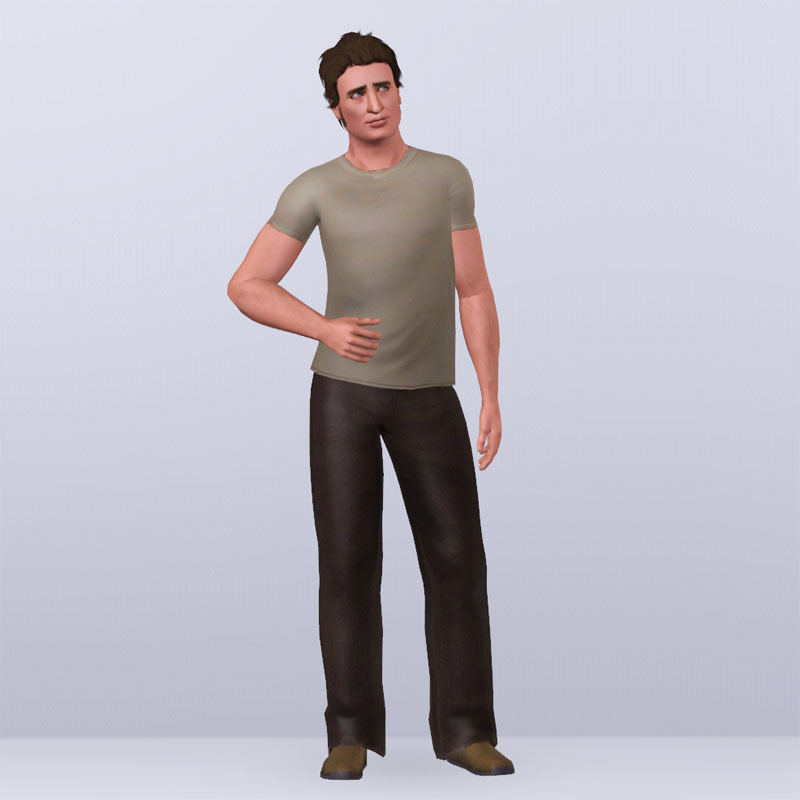 Place the .SIM file in your My Documents\Electronic Arts\The Sims 3\SavedSims\ folder. If you don't have a SavedSims folder, just make one - that's two capital S's and one lowercase s at the end. 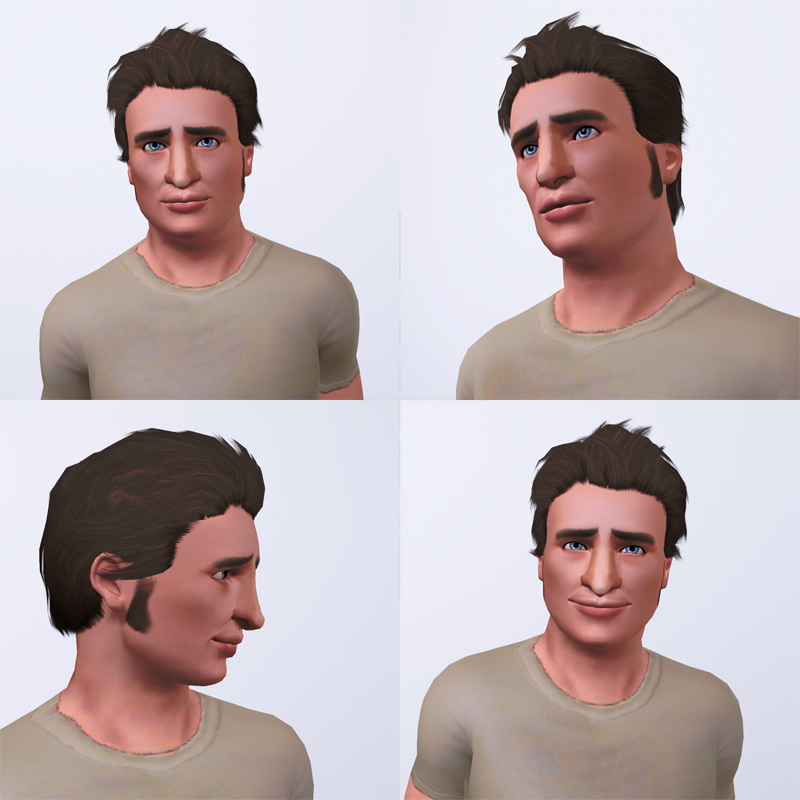 Open the premade sim bin in CAS in-game to find the sim.